I love a good hair day as much as the next woman. Realistically I don’t have much time to spend getting ready every morning. I want my hair to look good every single day but I know it doesn’t. Sometimes I’m just too attached to my mom bun. It’s quick and easy. 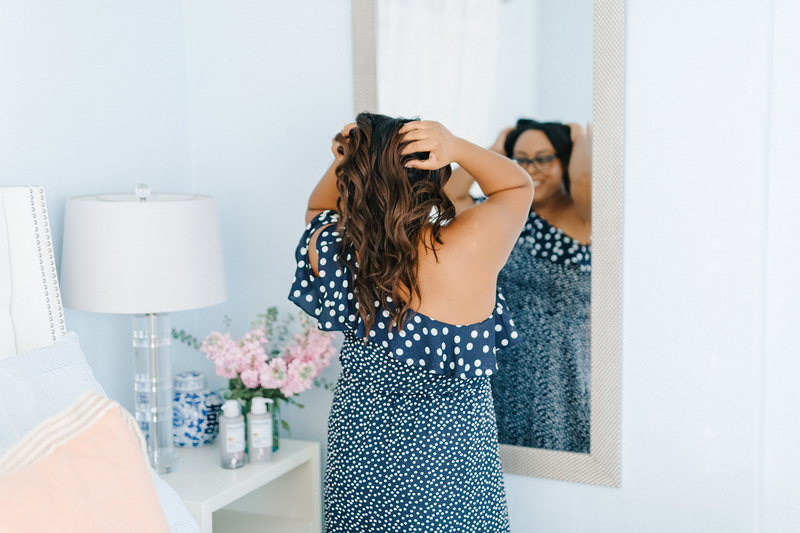 Over the years I’ve learned a few tips and tricks to having consistently good hair days. The secret isn’t spending hours every morning on your hair, it’s finding a good routine and sticking to it. 1. Narrow down a few easy go-to hairstyles. Easy go-to hairstyles are essentials to good hair days. How many times have you gotten ready in the morning and had no idea what to do with your hair? That was me literally every single morning. I got tired of the messy mom bun and decided to figure out a few easy to maintain hairstyles that worked for me. When you’re picking your hairstyles, be realistic. Think about whether or not you like to wear your hair up or down. You want to pick styles that you don’t have to fuss with throughout the day. Playing with your hair constantly can do more damage than good. Too much heat can damage your hair. Heat can cause damage and breakage.Skip the blow dryer, flat irons, and curling irons. If you’re wanting to use one of these tools, opt for tools with ceramic or tourmaline plates/barrels and use lower settings. These surfaces will reduce the damage to your hair. If you’re wanting to add some curls to your hair, try heatless curls instead. You can use rollers in your hair the night before for a cute curly style. Taking the time to learn about your hair type is so important. 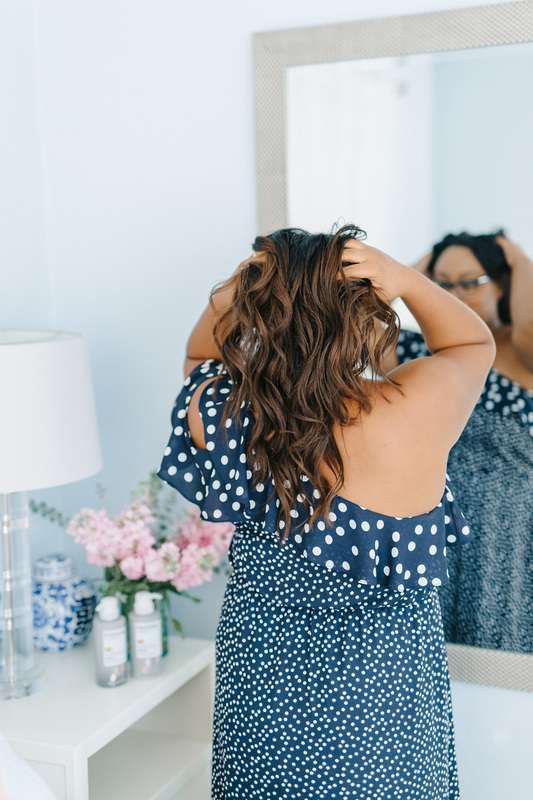 If you decide to use heat, knowing your hair type will help you to find out what temperature setting is best for your hair.Good hair days depend on the right products for your hair. Different products achieve different results. Learn which products are best for the results that you’re trying to achieve. With this Florida heat, it’s a struggle to find products that can keep my hair tamed. My new recent favorite is an absolute game changer! I’m a huge fan of clarifying shampoo and volumizing conditioner. 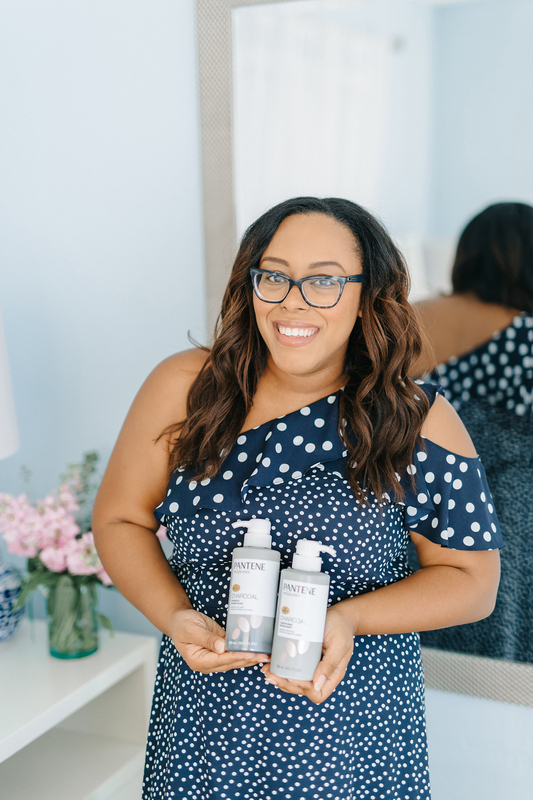 Pantene Charcoal Collection shampoo and conditioner is exactly that! Their shampoos and conditioners contain Pro-V nutrient blends to improve hair’s health from the inside out. Have you ever gone days without washing your hair and had loads of build up? This collection detoxes your hair by attracting impurities like a magnet, while releasing antioxidants helping it look refreshed and clean with renewed body and shine that you desire. 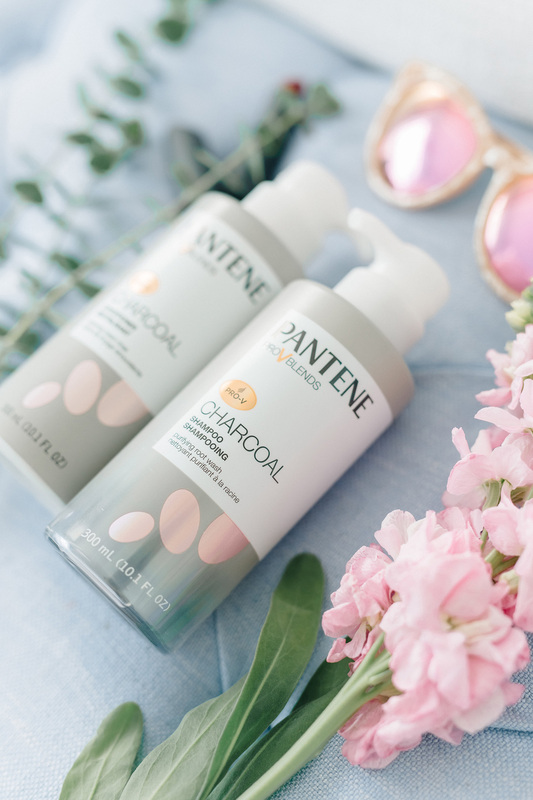 Pantene’s Charcoal Collection Shampoo is free of silicone, parabens and dyes. It uses activated charcoal to cleanse the hair and scalp to help remove dirt and impurities. The purifying shampoo is nutrient-infused with a Pro-V blend of activated Charcoal, pro-vitamin B5 and antioxidants. I can’t tell you how much I love this shampoo. The lather is so thick and my hair always feels clean without feeling dry after it’s washed. Pantene’s Charcoal Collection Conditioner is Pantene’s first ever silicone-free conditioner. How amazing is that! Let me tell you, you’ll fall in love with this conditioner the first time you use it. It’s a lightweight conditioner that is free of parabens and dyes and contains pro-vitamin B5, white charcoal and antioxidants. I love that it rinses out quickly and leaves my hair shiny and full. 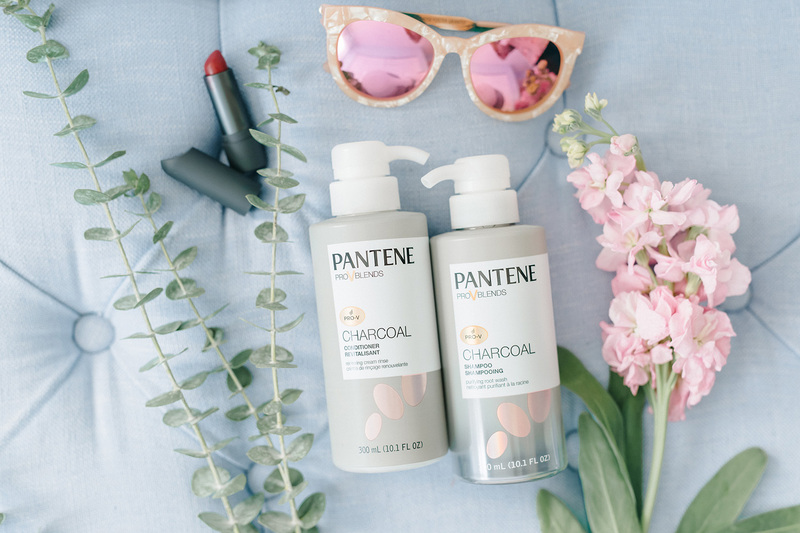 If you’re looking for an affordable shampoo and conditioner duo that will give you result you’ll love every time, Pantene’s Charcoal collection is for you. Making the switch to a silk pillowcase was one of the best decisions I could’ve made for my hair. Honestly, it’s an all around game changer. Silk pillowcases can reduce bed head, frizz, and split ends. Sticking to a routine can making having good hair days easier to achieve. If you have a set schedule, it will allow you to get out the door quicker every morning. If you choose a set schedule for wash days, your hair will get used to your routine as well. Believe it or not, your diet can impact the health of your hair as well. Drinking lots of water and taking vitamins can leave your hair feeling moisturized and shiny. Vitamins can help your hair grow and lead to all the good hair days. Maintenance is essential to good hair days. Wash your hair when it starts to feel oily and weighed down. Leaving your hair dirty for too long can lead to more damage. I love to deep condition my hair every two weeks. 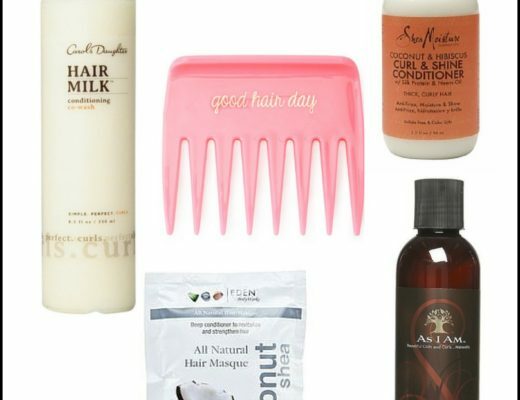 It adds moisture to my hair and helps to prevent breakage. As much as trimming your hair scares you, I like to do it at least once a month. Trims help keep your hair healthy and promote healthy growth. If your hair breaks easily, consider doing a protein treatment or protein mask. All in all if you’re looking to have good hair days consistency is key. Find a routine with products that work for you and try to stick to a scheduled routine. Practice your favorite hairstyles so you can style your hair quickly every morning without any frustration. I guarantee with the tips above you’ll master your routine in no time and have consistently good hair days. I had never heard that silkproducts and sheets were good for the hair but they are nice in other ways too. I will try the Pantene charcoal products if they are good for colored hair. My hair is colored and it has been fine for me so far. I have to give that shampoo a try! Charcoal is so good for getting rid of toxins. It sounds like great stuff. Yes, charcoal is the best! I have no idea they had these fancy shampoos now! I def need to get a new system because my hair is dry and frizzy. Yes, their product line is amazing! Don’t use too much heat – that’s a GREAT tip for me. I want to try that shampoo, too! I used to use heat all of the time before I knew any better. Now I try to use it sparingly. Thank you for all of these great tips. I agree too much or too little product can make a big difference. Normally for me too much makes my hair heavy therefore flat. Great post. Too much product always makes my hair super heavy! My go to hair style is a ponytail. My hair likes to go frizzy on me. These are great tips. I already avoid heat. I need to get this shampoo and conditioner. My go-to style used to be a mom bun. Incorporating a braid into your ponytail can make it look much more polished. Awesome tips! I will keep these in mind! Thanks for sharing! I just saw that shampoo at the store and it really had me intrigued! I feel like I have more bad hair days than good LOL! Sometimes I feel like that too. These tips can really help! I haven’t seen this kind of Pantene yet- I used to use this stuff religiously when I was younger! It’s awesome! I get mine from Target but it’s on Amazon and other stores as well. I love these tips, Bianca! I will definitely try a silk pillowcase. I never know what to do with my hair when I go to bed since it’s curly/wavy, so I usually just let it run free without a hair tie. It will be nice to try a different pillowcase. Silk pillowcases are the best! Wow! great tips for me. 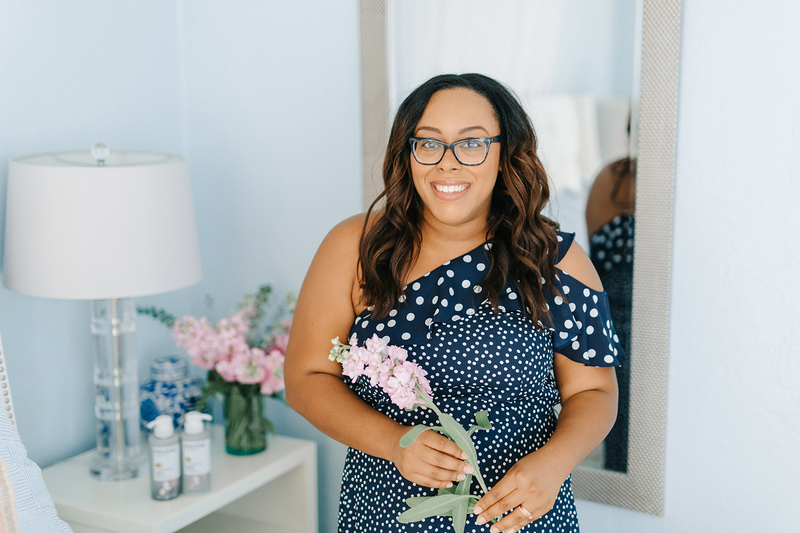 Thanks a lot to Bianca for sharing such an informative article about op Secrets For Good Hair. I love to hair care and travel in anyplace. I have read your valuable page and gotten much information and now my confusion has cleared. But I have two little question that, how days later will I use shampoo and conditioner in a week? Could you please suggestion me? Then I will be benefited. Anyway great job and Keep it up……….. Thank you Amelia. I typically only was my hair once a week. If my hair starts to get too oily before the next wash cycle then I use a dry shampoo. The Pantene shampoo above is a clarifying shampoo so you don’t want to use it too often because it will make your hair too dry.